Who are The Members of Halestorm, What are They Known for? Home Musicians Who are The Members of Halestorm, What are They Known for? Since its formation in 1997, Halestorm may only have 4 studio albums and a live album to its name, but you will always find it among some of the best hard rock bands in the United States if your list is long enough. While Lzzy Hale remains the front person of the band since it began, other members of Halestorm are Arejay Hale, Joe Hottinger, and Josh Smith. From Red Lion, Pennsylvania, Halestorm is a Grammy-winning rock band which has sold more than a couple million of its records. The band which is very popular for almost always touring began in 1997 with two siblings, Arejay and Elizabeth “Lzzy” Hale who were at the time only 10 and 13 respectively. In 1999, Don’t Mess With the Time Man was released as its first EP and from there on, more members joined and greater things were accomplished by the rock band including clinching the Best Hard Rock/Metal Performance at the 55th Annual Grammy Awards in 2013 for Love Bites (So Do I). Ahead of the 61st Annual Grammy Awards in 2019, the band has been nominated for Best Rock Performance for its song, Uncomfortable. Who are The Members of Halestorm? Since when it was formed, Halestorm has had a total of six members. Currently, it has four members while 2; Leo Nessinger and Roger Hale are no longer a part of the band. Its two members that have always been a part of the band are the duo, founding siblings Lzzy Hale and Arejay Hale. Born Elizabeth Mae Hale in 1983, Lzzy is the lead singer and rhythm guitarist of the rock band which as stated, she co-founded in 1997 when she was only a child of 13. Even before founding the band, the Halestorm vocalist had already started writing songs and later, she began performing together with her younger brother. The first song she wrote was when she was five years old and she used it mainly to get her brother to sleep, but for the band, her first song is “Love Is Power”. Described among the “Hottest Chicks in Metal” by Revolver magazine, the thing that has pushed her to the top has always been her strong voice and sheer talent. Looking at her musical career, Lzzy Hale has always remained a member of Halestorm without ever having a solo career or joining any other band. Nonetheless, she has collaborated with some bands and stars including Shinedown, Lindsey Stirling, Black Stone Cherry, and Machine Gun Kelly. In her personal life, Lzzy is not yet married but she has been in a few relationships in the past including one with guitarist Joe Hottinger which has been on and off for some time. More so, she revealed that she is bisexual via her Twitter in 2014. In 2018, she led an online campaign towards raising awareness on the issues of mental health following the suicide of the lead singer of heavy metal bands Huntress, Jill Janus. Lzzy has also had her own battles with mental health issues. As already pointed out, Arejay is the younger brother of Lzzy. He was born in 1986 in Philadelphia, United States. Just like his elder sister, Arejay began showing interest in music since he was a little boy. By 1997 when the band had started, he was already very good on drums something that he continued to take charge of while his sister remains in charge of the vocals and the guitar. Interestingly enough, his interest in music began since he was three years old thanks to his father. Hence apart from the drum, Arejay is also good with singing and songwriting. Another thing that he has always shown interest in is film and theatre acting. In order to continue pursuing his acting career, he moved to LA in 2012 where he studied courses relating to acting and script writing. Even as he continues to pursue his passion in acting, he is still more concentrated in his musical career. 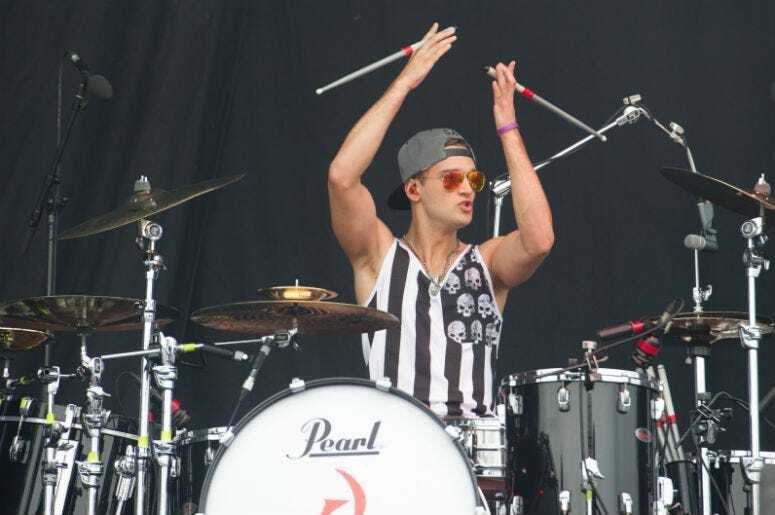 As regards his personal life, the drummer and songwriter got married in 2014 to Jessie Covets who is a singer and guitarist of the all-female quintet, True Violet. The marriage between the two was rather spontaneous as according to Hale, they were going through some rocky times but the moment they saw each other, he told her he wanted to marry her and she agreed for them to marry immediately. The two flew to Las Vegas where they got married. There is also Joe Hottinger who is the lead guitarist and backing vocalist of the Pennsylvania rock band. Born on February 22, 1982, Hottinger joined the band in 2003 as a replacement for Leo Nessinger who was the lead guitarist of the band from 2001 to 2003. While he was growing up, his first interest in playing the guitar came after listening to Nirvana. 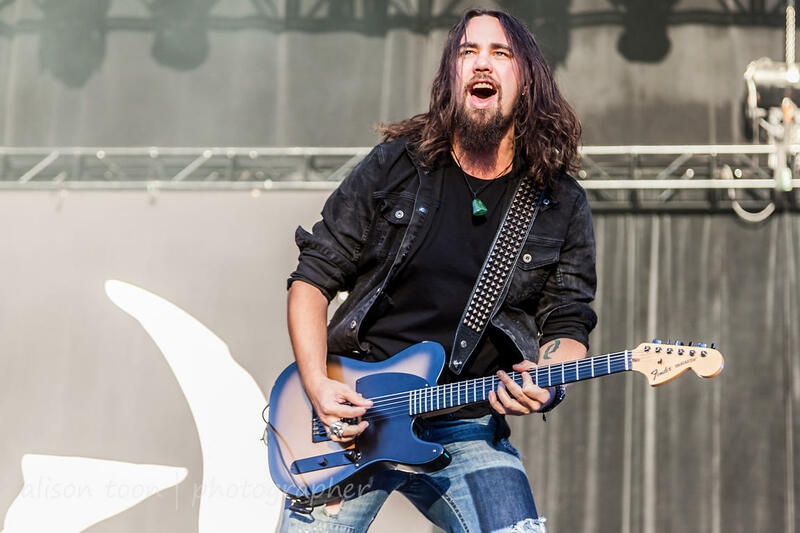 Looking at his personal life, it has been revealed that the guitarist has been in an on and off relationship with the band’s lead vocalist, Lzzy Hale. Apart from Lzzy and Arejay, Hottinger is the oldest member of the band which he still remains a member since joining in 2003. He was a part of the band’s The Strange Case Of… (2012) album which won a Grammy. 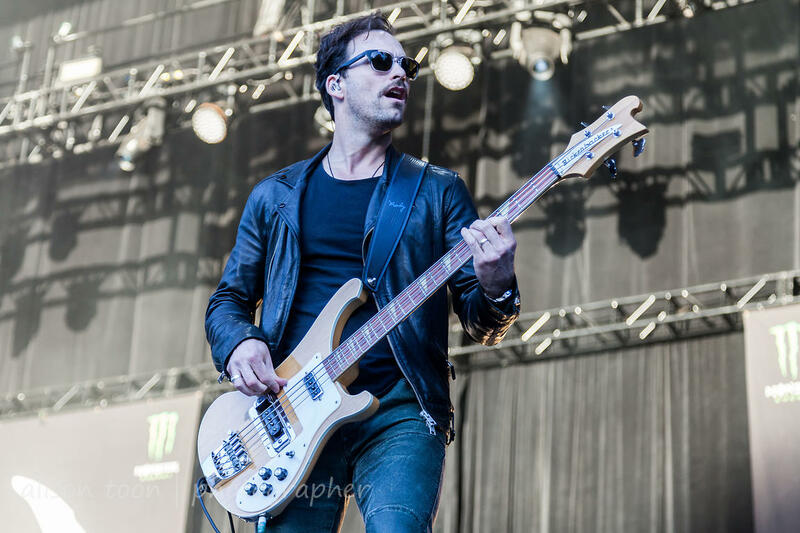 Among the members of Halestorm is Josh Smith who is the last person to have joined the band which he has been a member since 2004 when he joined to replace Roger Hale. He was born on 5 May 1983 in Willow Grove, Pennsylvania. Like all other members of the band, he was also introduced to music by his father at a very young age, most especially Tower Of Power. Also, he loved the Beatles and other rock & roll bands. In 2018, Josh Smith revealed that he is married and he has a son who was a year old at the time. A step backward to the formation of Halestorm, the two siblings got the support and encouragement they needed from their father, Roger Hale who was a bassist. More than just the support he gave to them, he became a member of the band too as a bassist. The Hale patriarch performed with his kids until 2004 when Josh Smith was brought in to replace him. According to Lzzy, at that early age when they began, having their dad around as one o the members of Halestorm was cool but just as it is with teenagers, the time came when they preferred someone in their age bracket. And then, there is Leo Nessinger who joined the band as its lead guitar player in 2000 and remained until 2003 before he left as a result of what he described as personal reasons. This means that he only got involved in the release of the second extended plays of the band Breaking the Silence which was released in 2001. Metal rock is not one of that genre of music that you will find too many women fronting for bands; that is one of the things that has made Halestorm quite different from most other bands. Much more than just that is how far the band has come with Lzzy as its lead vocal and the energy that she has constantly brought in. Beyond that, and the success of the band, the main thing that has made the members of Halestorm band highly known and regarded as well as one of the things that it is known for is its almost constant touring. In each year, the band spends a lot of time touring considering that it sometimes spends as much as 250 days in a year going on tours. Although it sometimes goes on tours alone, it has since 2006, been on a lot of tours with other heavy metal acts including Evanescence, The Pretty Reckless, Starset, Three Days Grace, Theory of a Deadman, Lita Ford, Bullet for My Valentine, New Years Day, and many others. Not only has it toured in the United States, Halestorm has also gone to different parts of the world including Japan. See Also: Who are Maroon 5 Members and Their Lead Singer – Adam Levine? For Lzzy and her brother, it is more than just touring with the band and more of the family touring together as their parents also work for the band with their mother as the TM while the father is the bus driver. According to Lzzy, she allowed her parents to work for them because of the sacrifices they have made for the band. With that noted, some of the best bands members of Halestorm have toured with are SEETHER which Lzzy has described as very important to their history and in helping the band experience its first national tour alongside Shinedown and Flyleaf. Theory Of A Deadman is another favorite tourmate of SEETHER. Although it was in 1997 that the band began, it released its first album, Halestorm in 2009, followed by The Strange Case Of… in 2012, Into the Wild Life (2015), and then Vicious (2018). Before their debut album, they had released a number of Eps including (Don’t Mess with the) Time Man in 1999, Breaking the Silence in 2001, and One and Done in 2006. Thus far, Halestorm has 4 albums, 1 live album, and 9 EPs.